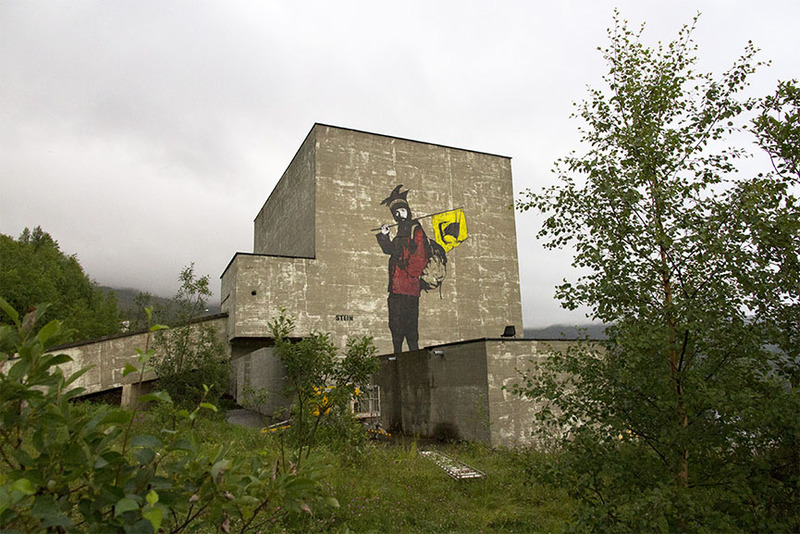 Between August 14th and 16th, our friend and contributor Henrik Haven traveled to the remote village called Sulitjelma, above the Arctic Circle in Northern Norway. 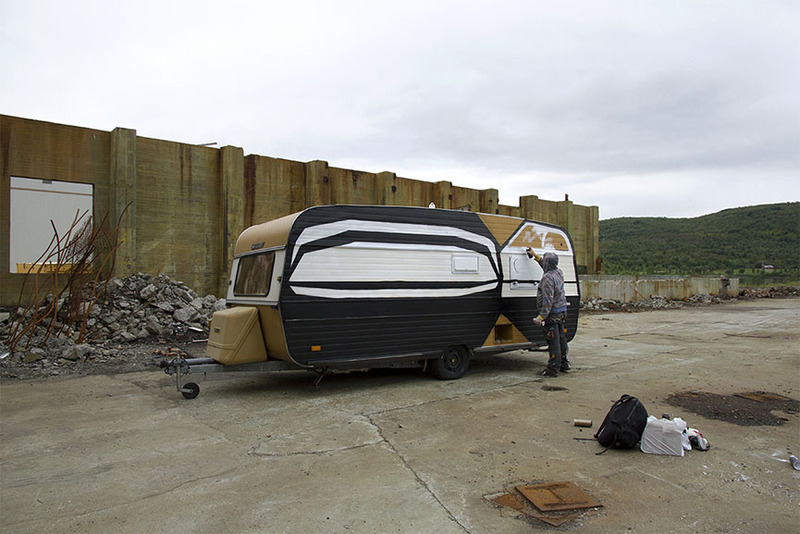 His quest was to document UpNorth Festival in images. 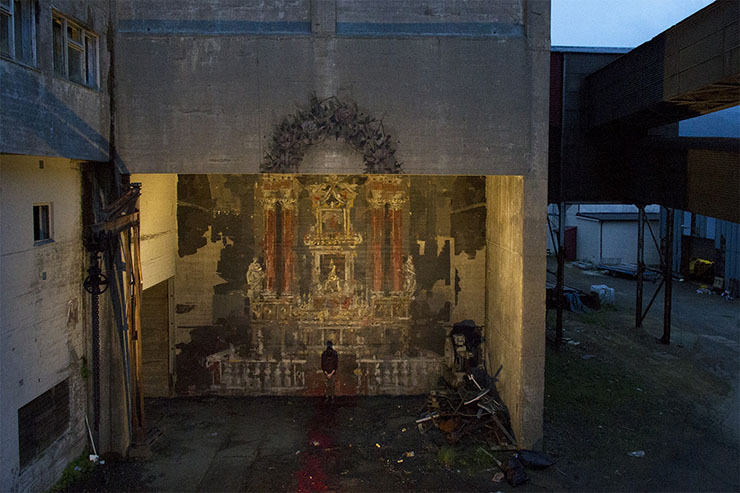 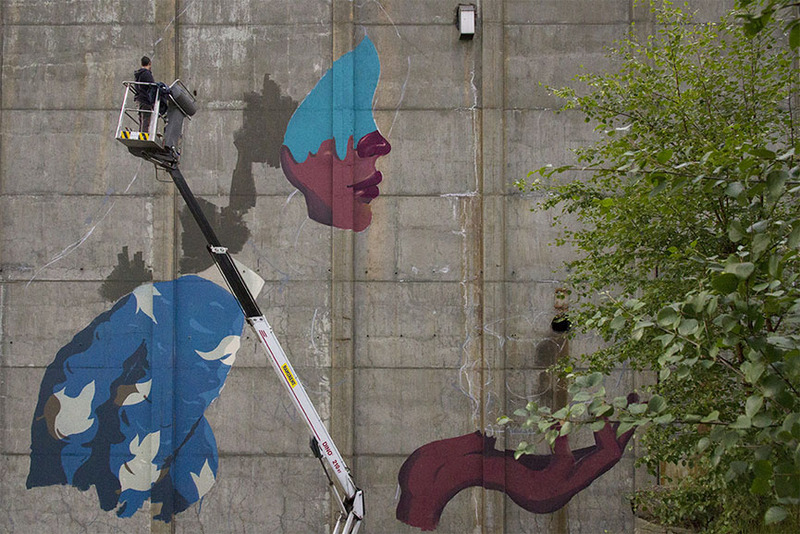 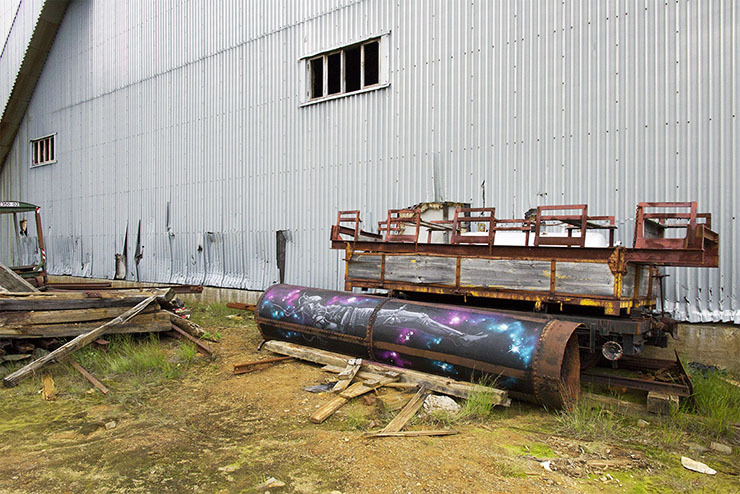 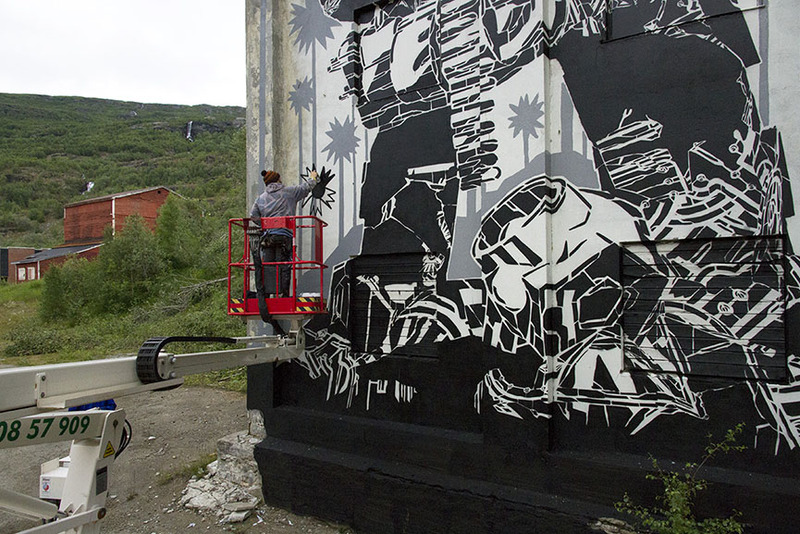 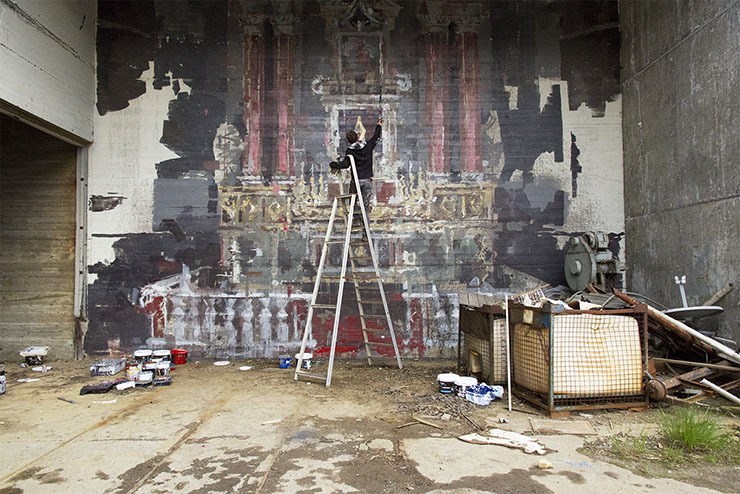 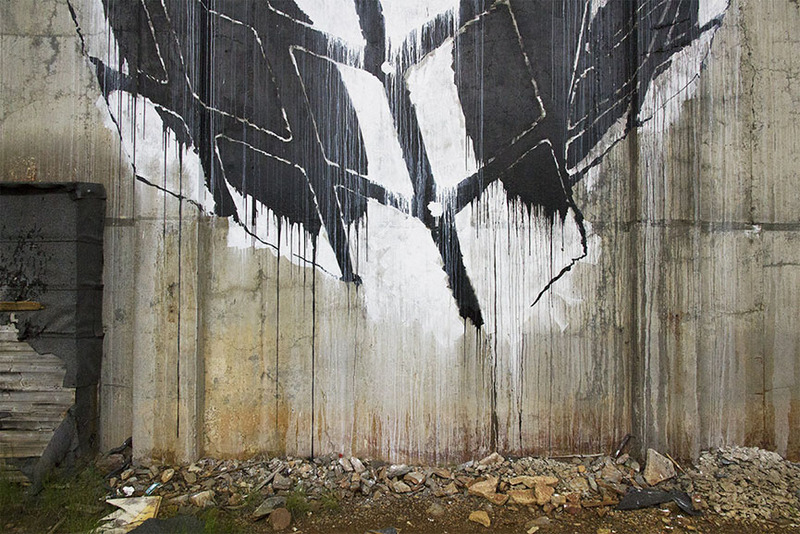 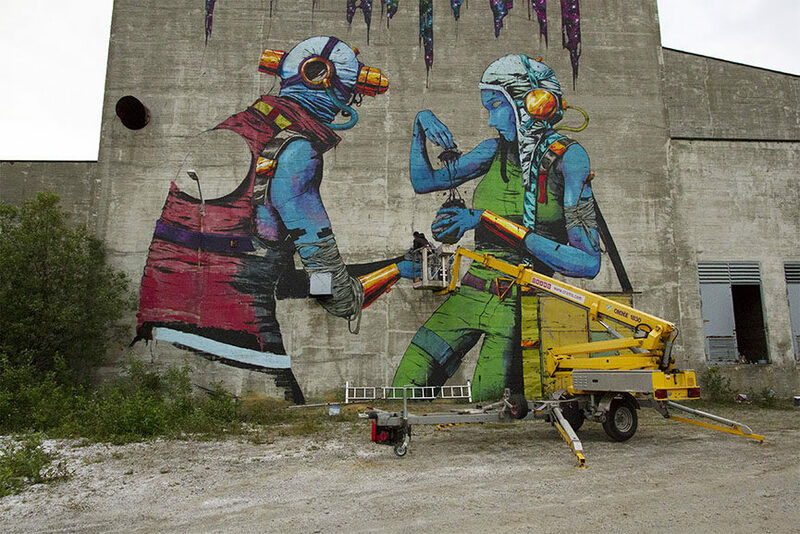 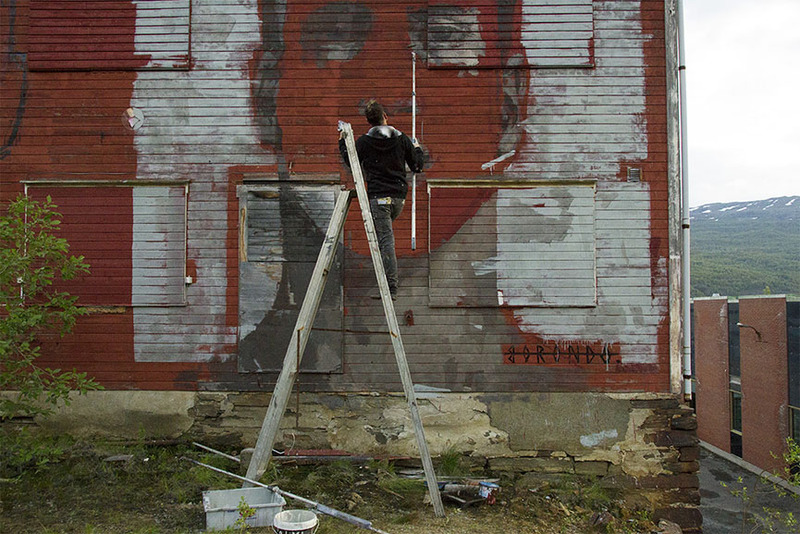 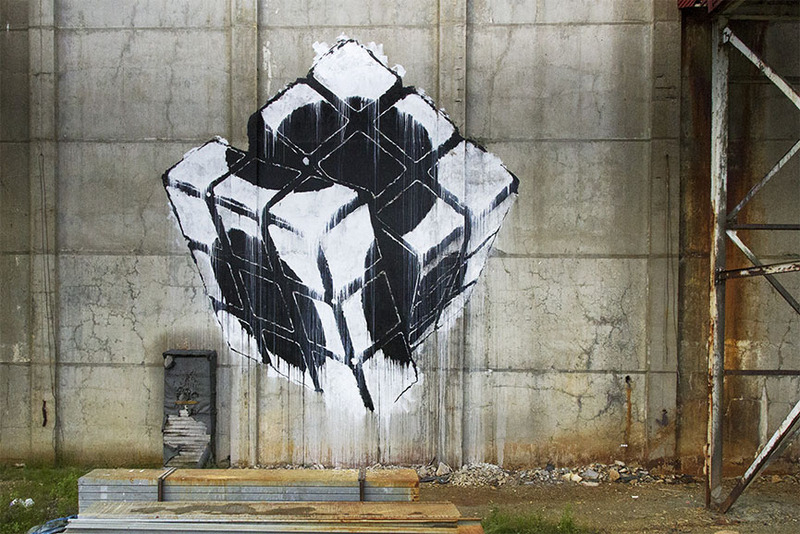 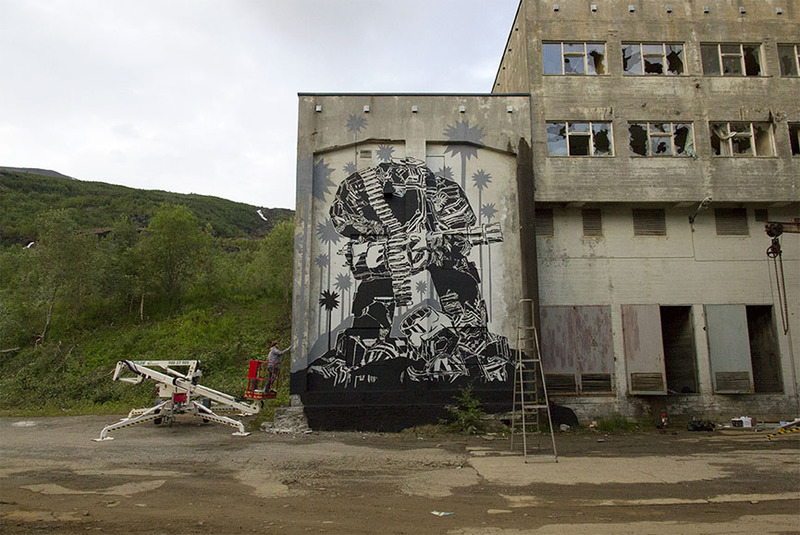 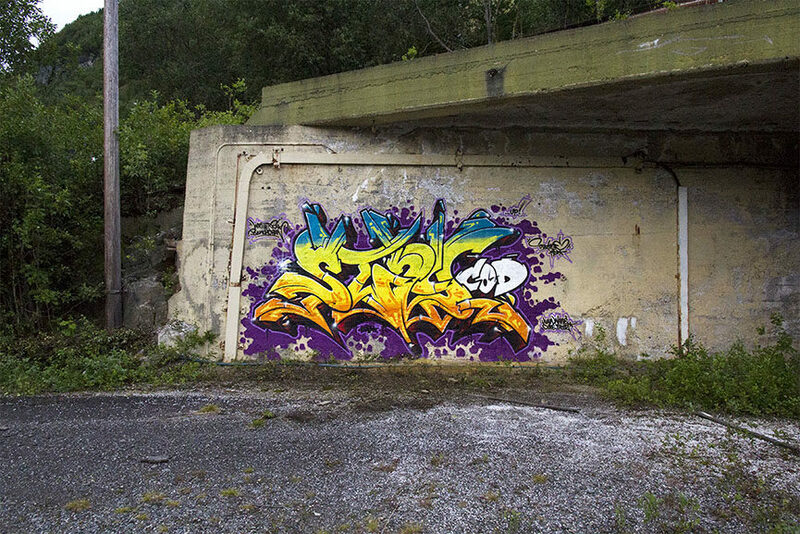 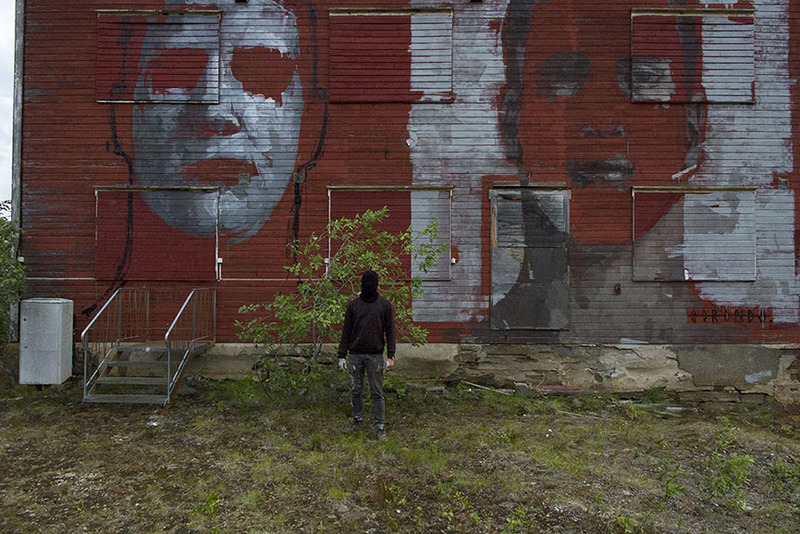 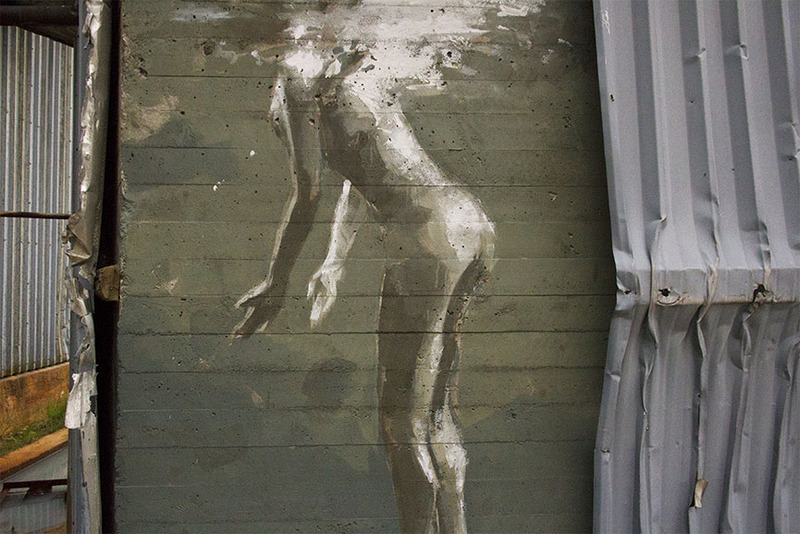 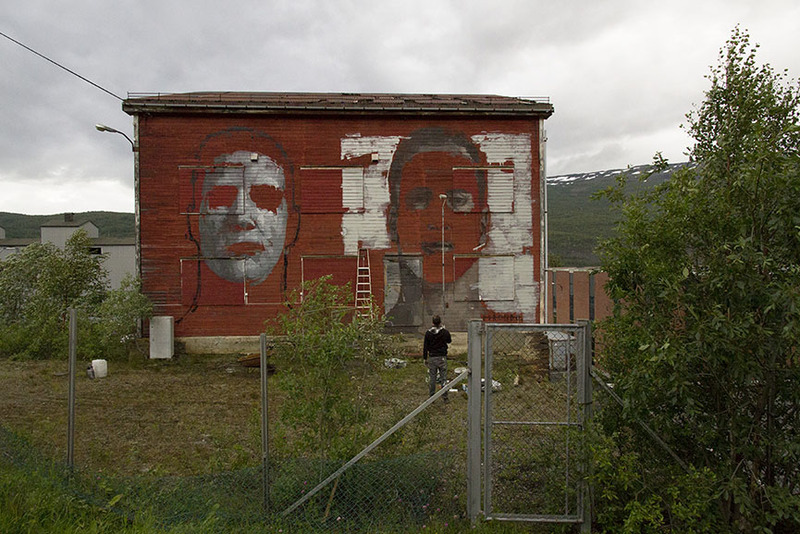 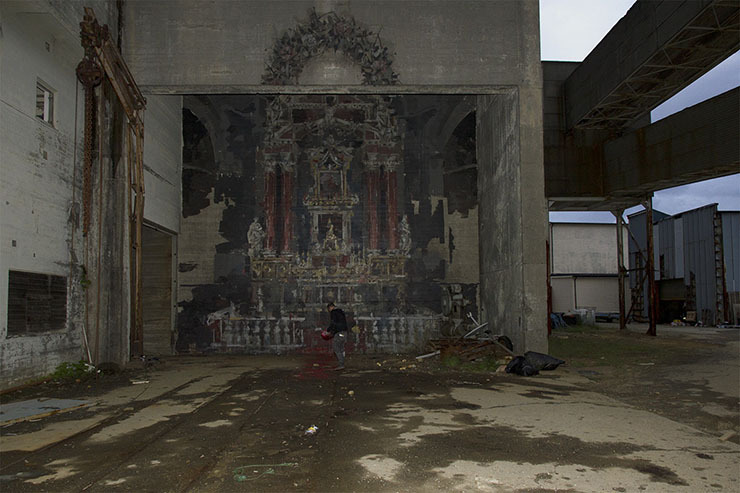 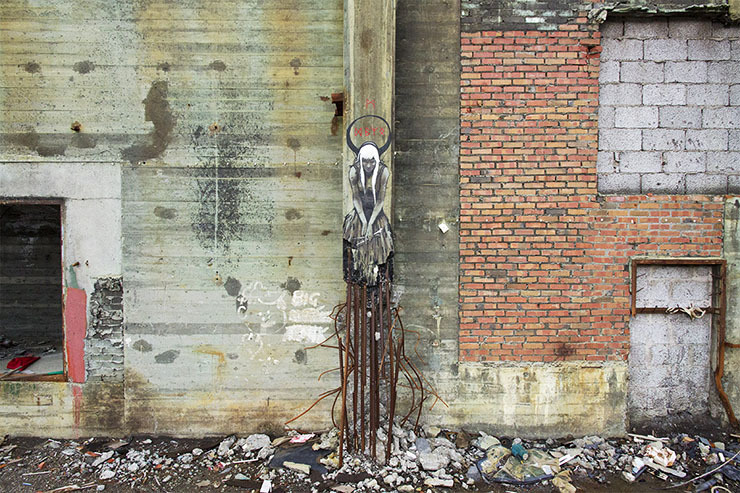 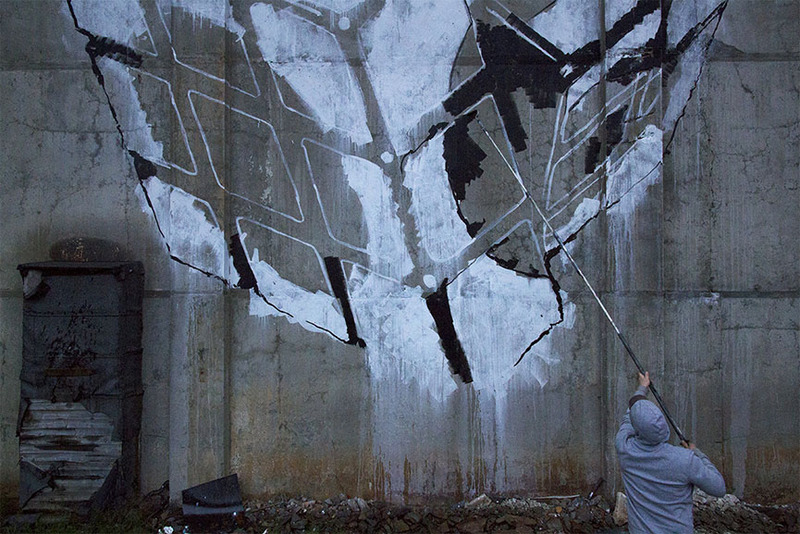 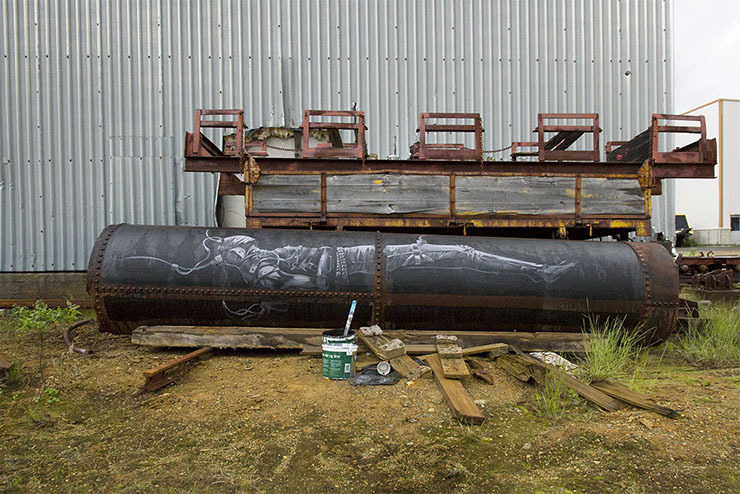 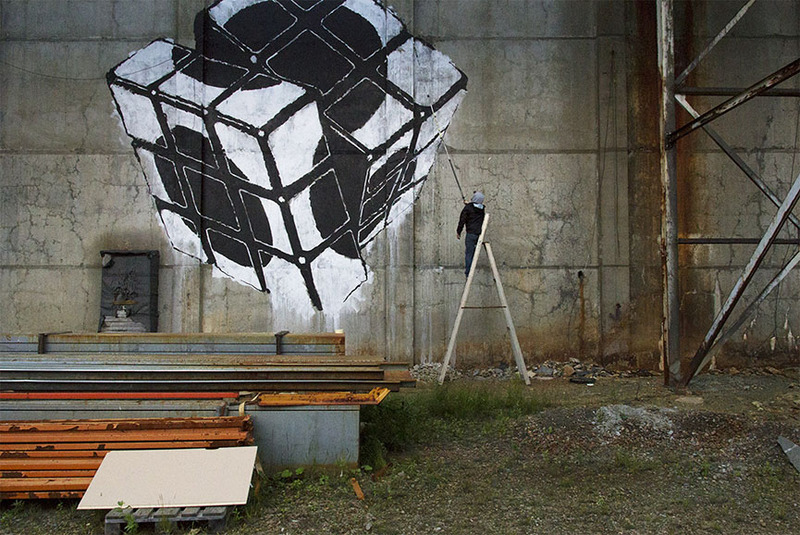 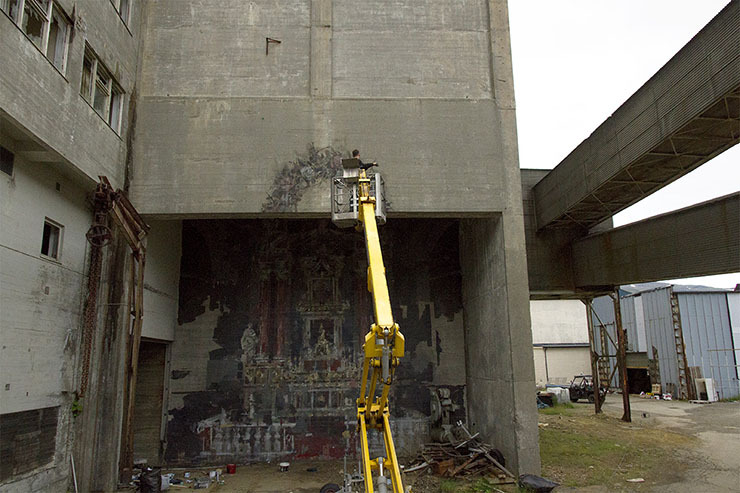 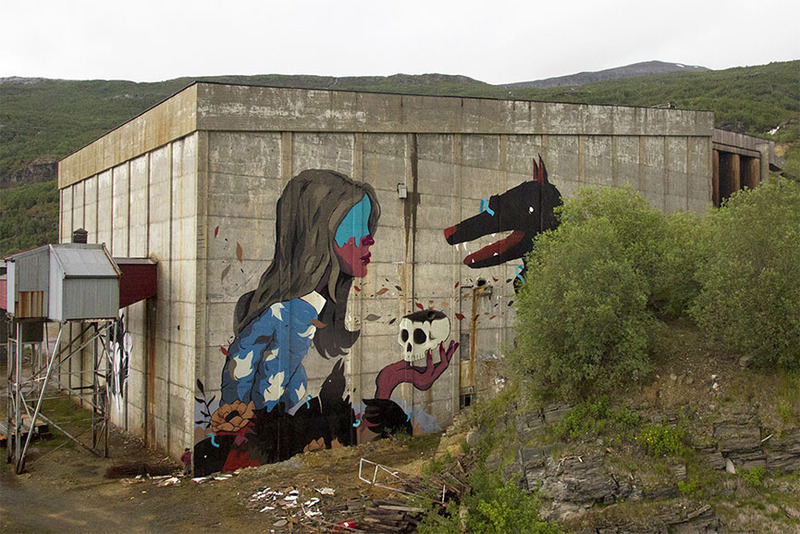 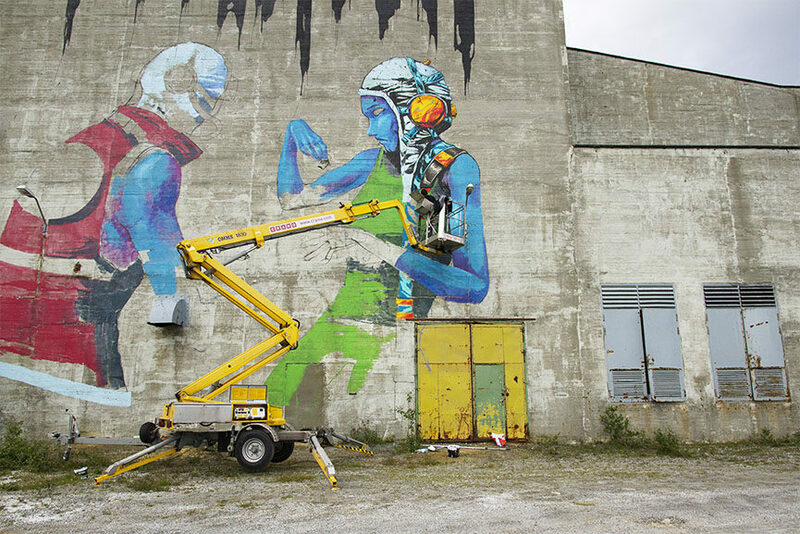 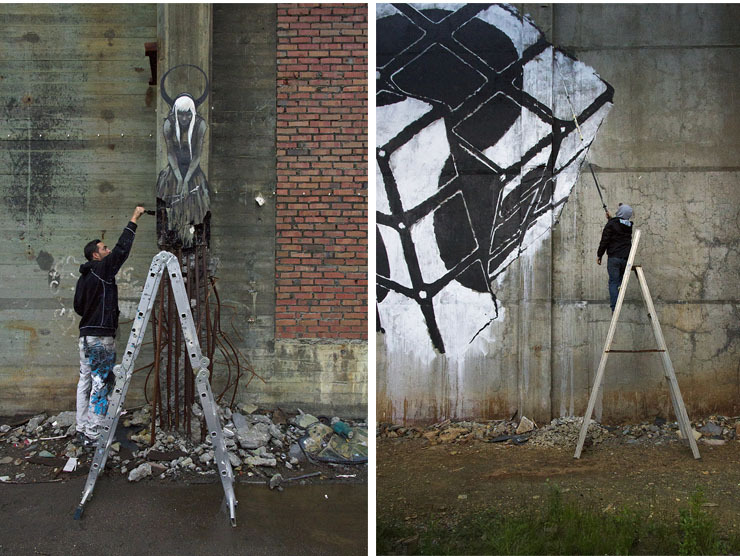 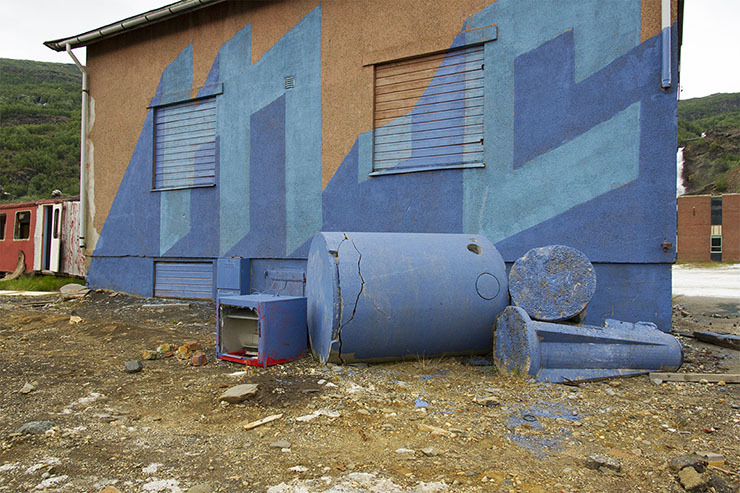 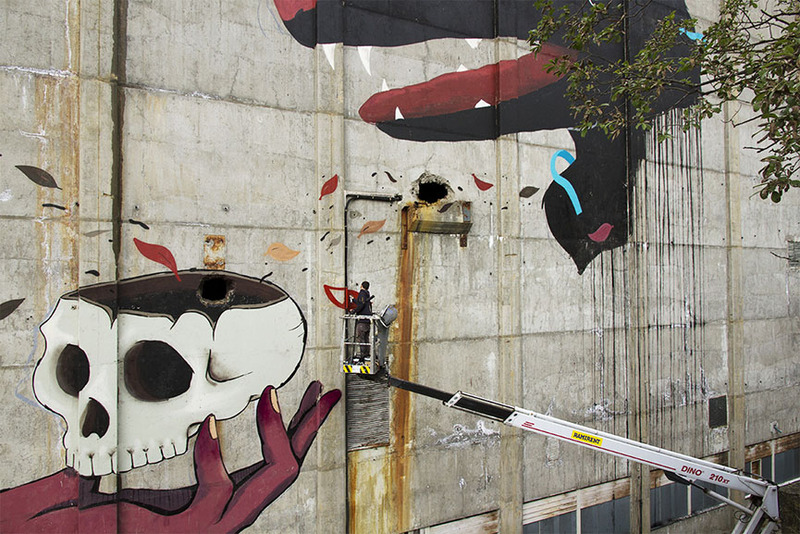 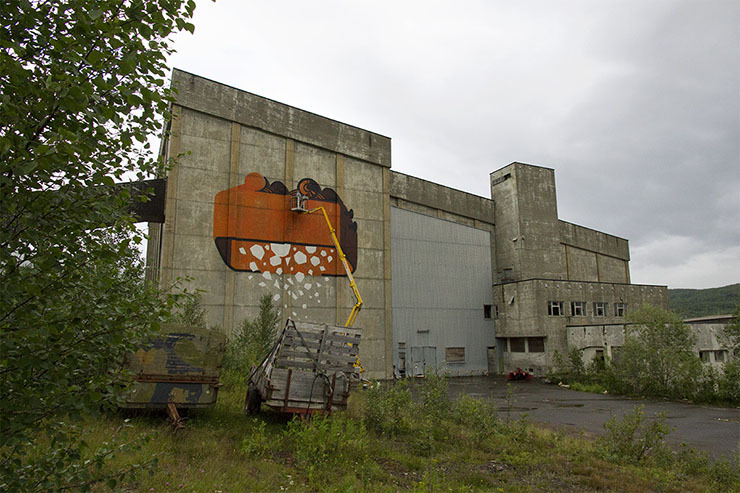 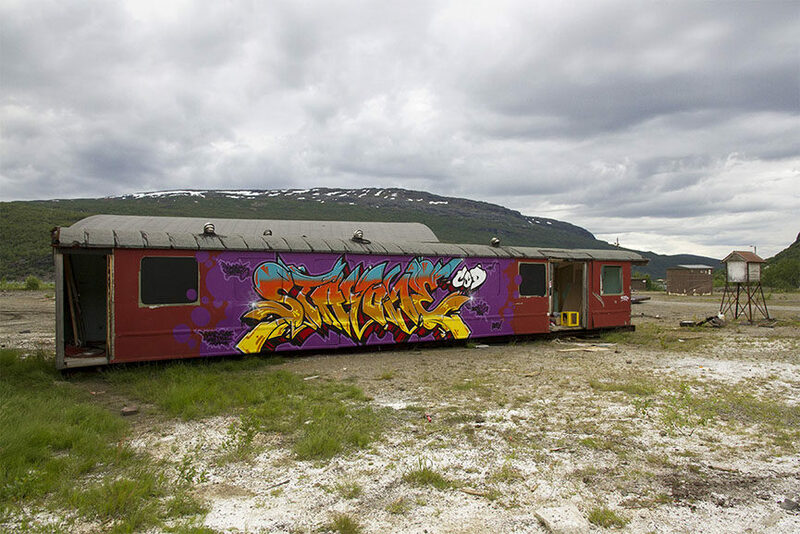 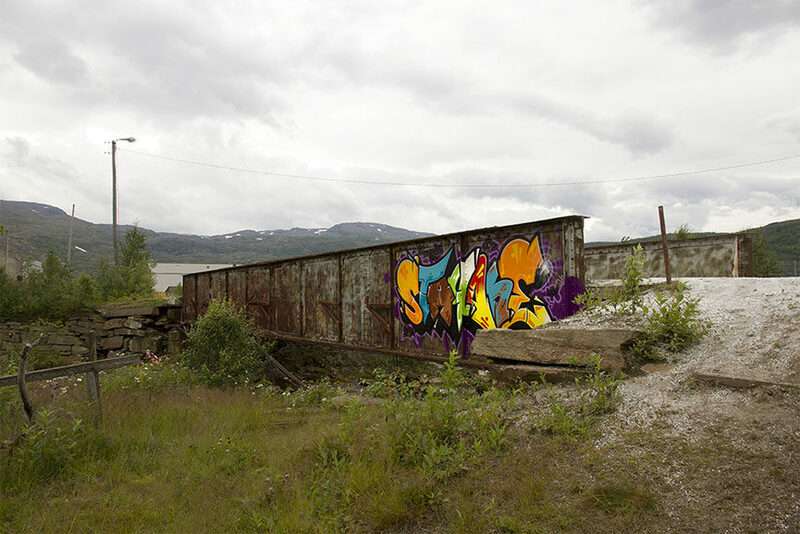 This new urban art festival is curated and organized by the anonymous Norwegian artist Stein, alongside Trond Solstad, and the artists who participated in the event were Borondo, Sabek, Deih, M-City, DotDotDot, StayOne and Stein himself. 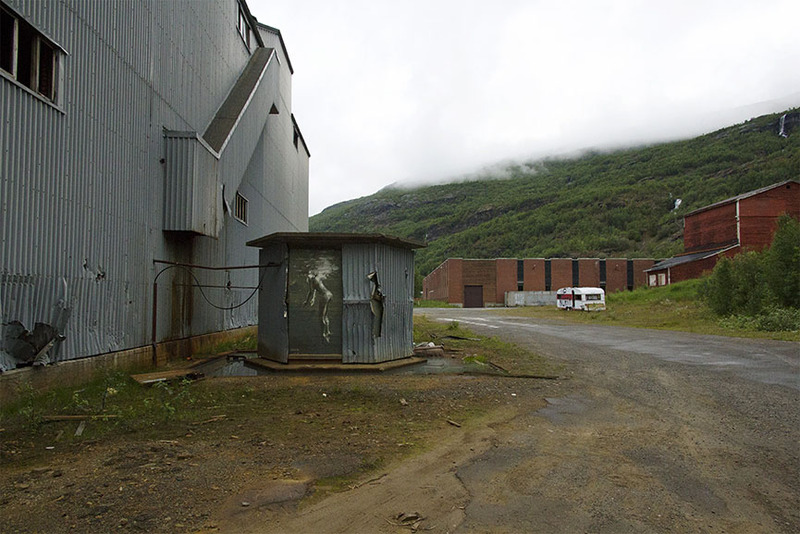 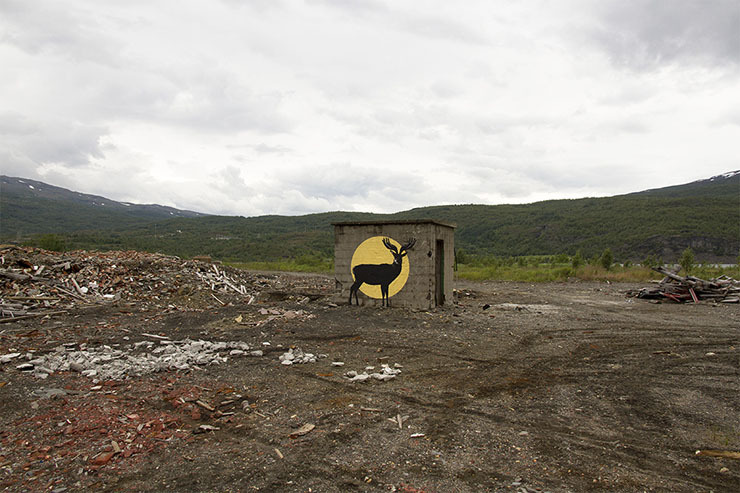 The incredible scenery of Sulitjelma is on the gateway to some of Norway’s and Sweden’s biggest wilderness area, and the contrast between industry and nature makes this a really unique environment. 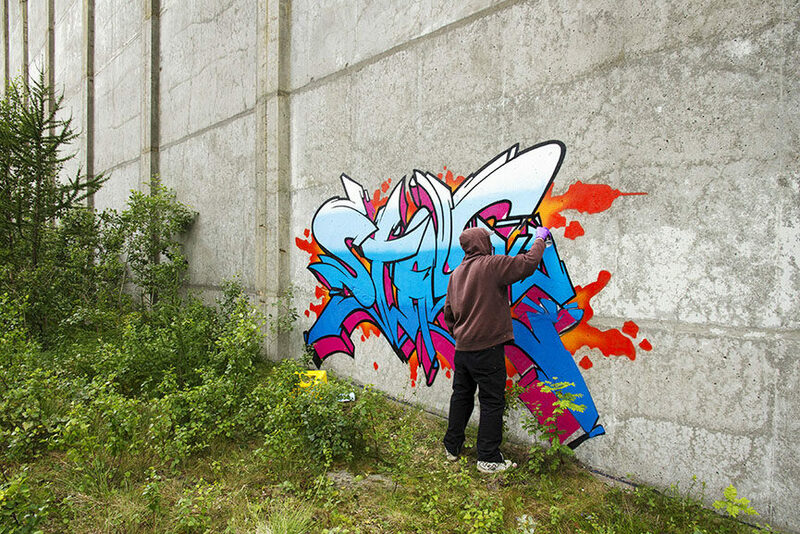 For the internationally renowned Danish photographer, this is his biggest photographic documentation of an urban art event to date. 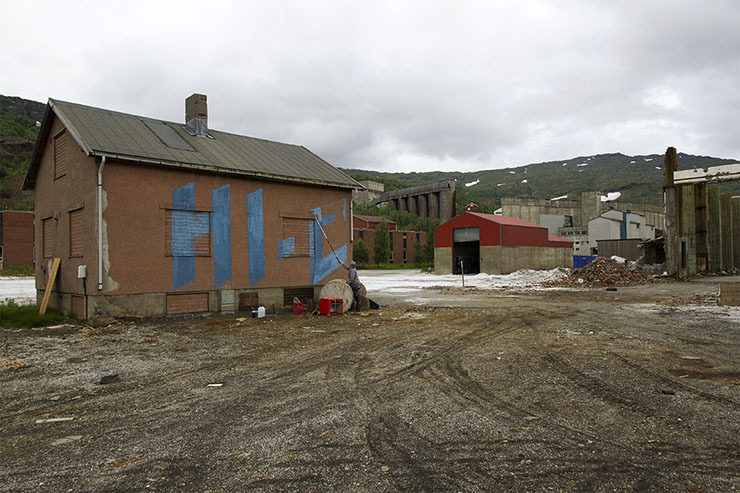 Henrik Haven created over 5000 pictures over the course of ten days! 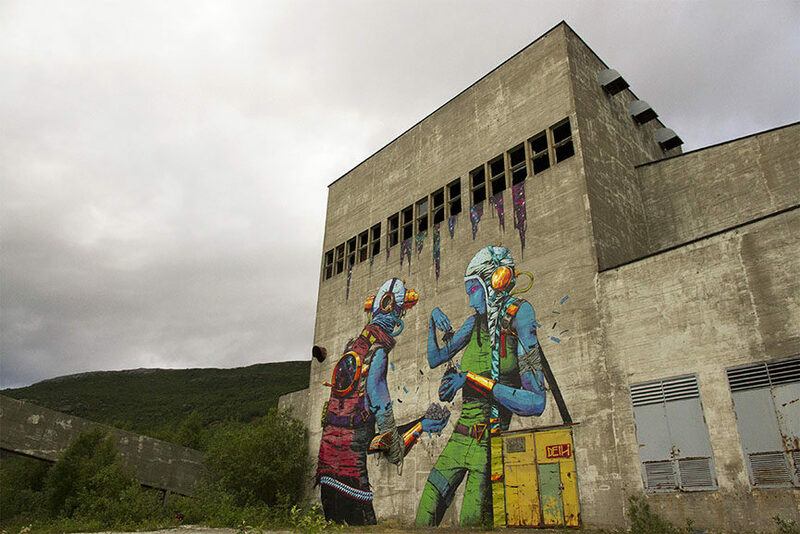 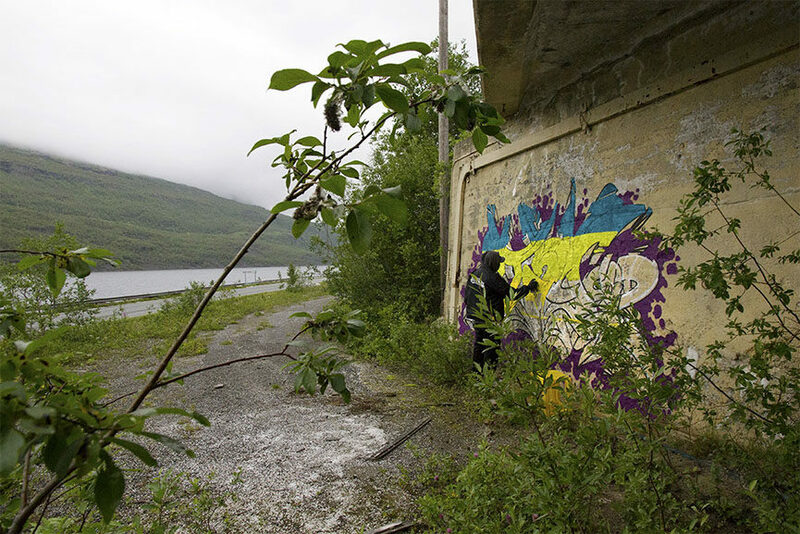 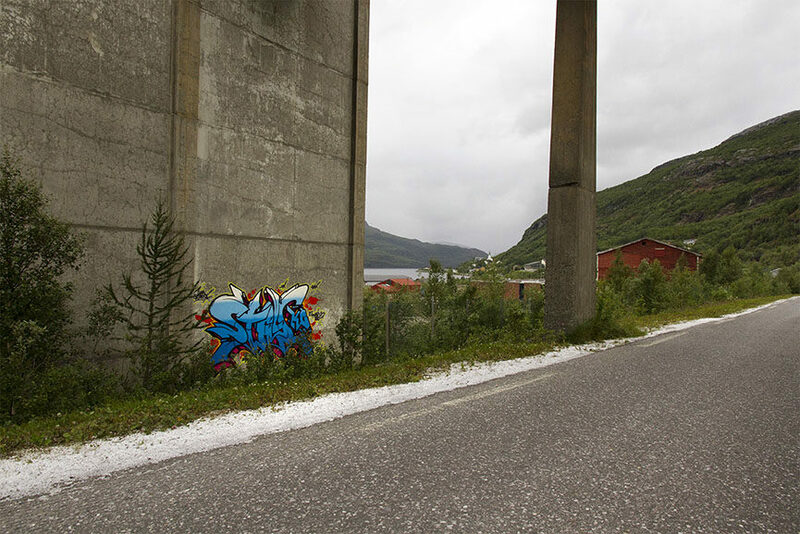 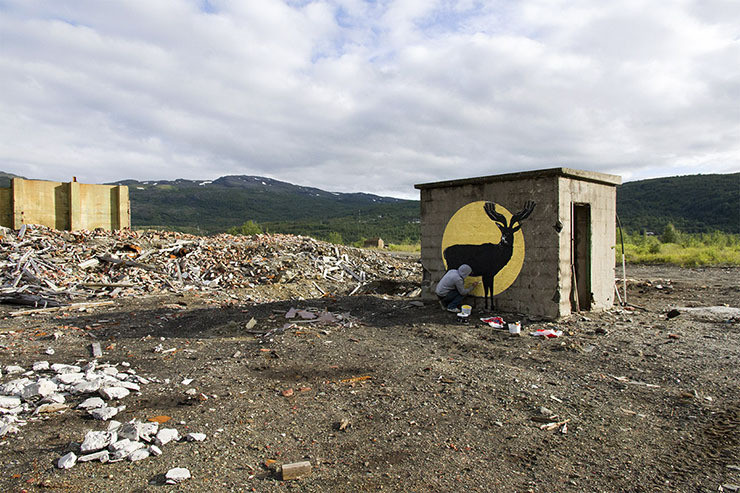 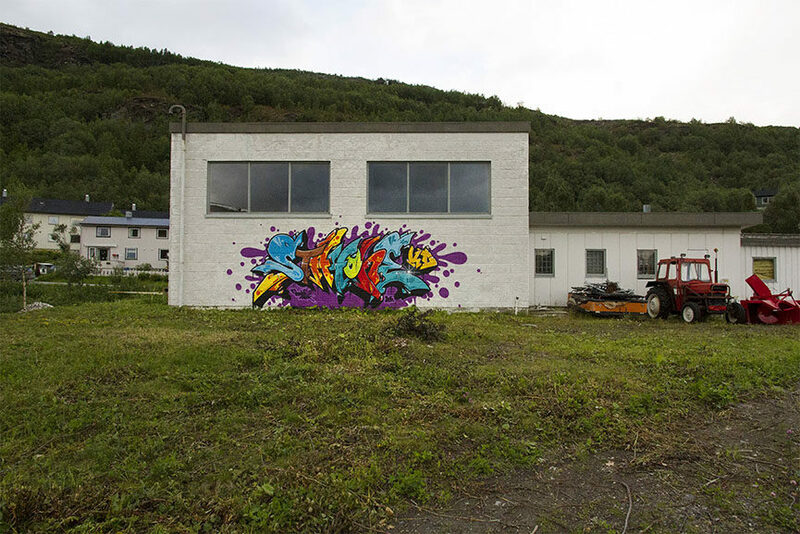 The first ever, 2015 edition of UpNorth Festival took place in a small village of Sulitjelma in Northern Norway. 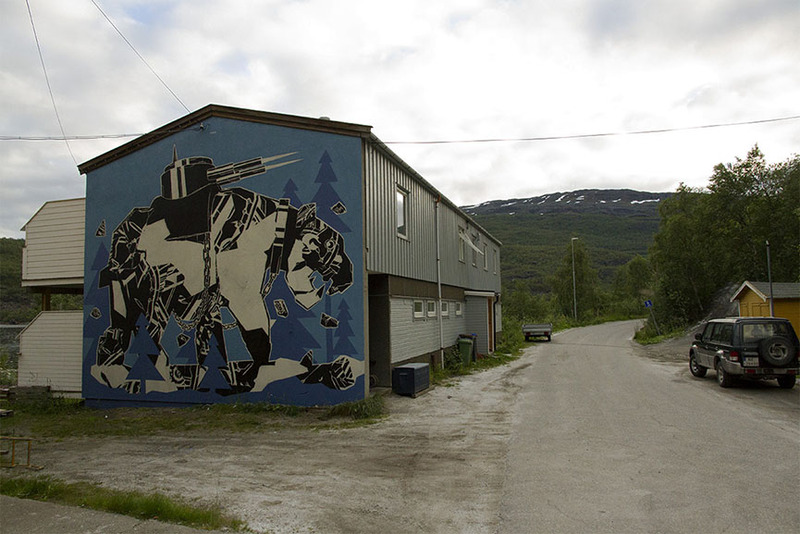 Once one of the biggest mining communities in the country, this place now counts only about 400 inhabitants – a great cutback happened after the 1991 shut down of the mining company. 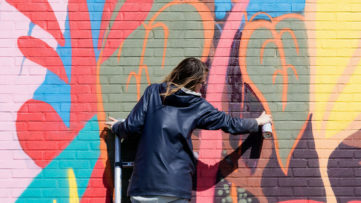 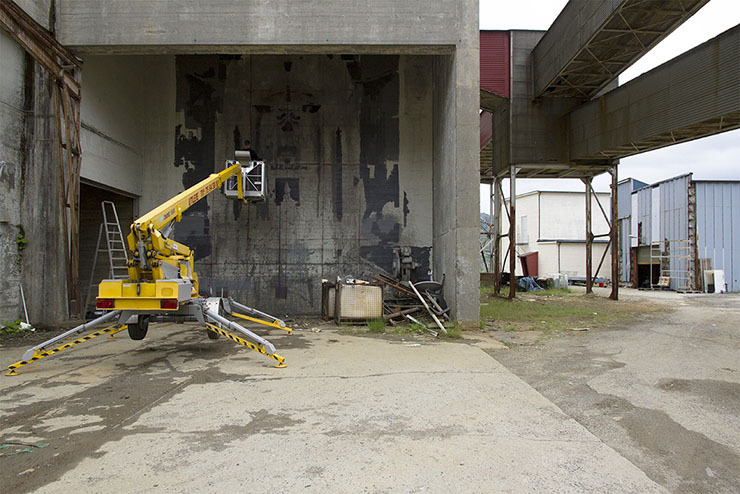 This particular environment, which also comprises a huge factory area with many blank walls just waiting to be painted on, the organizers of UpNorth Festival saw their opportunity to make this event happen. 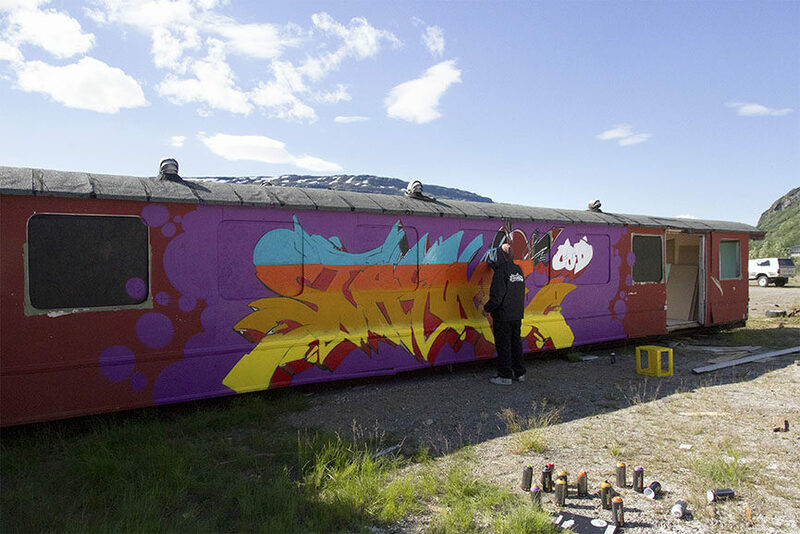 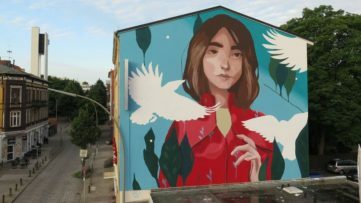 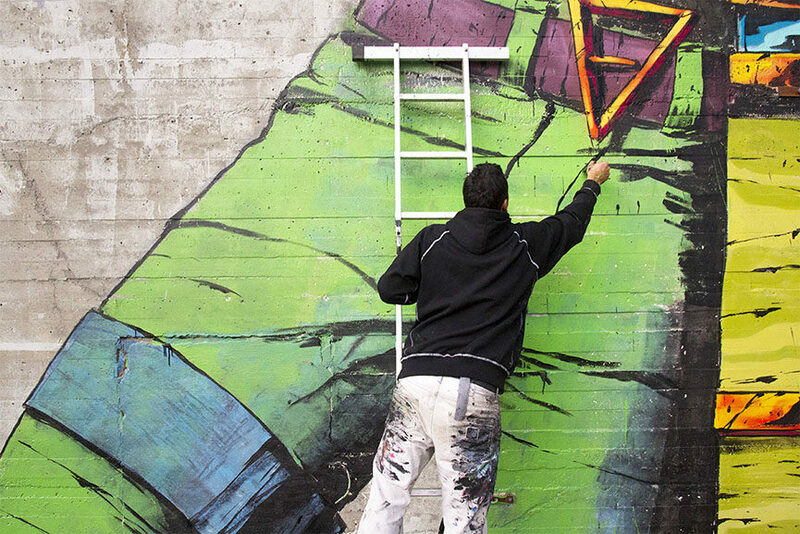 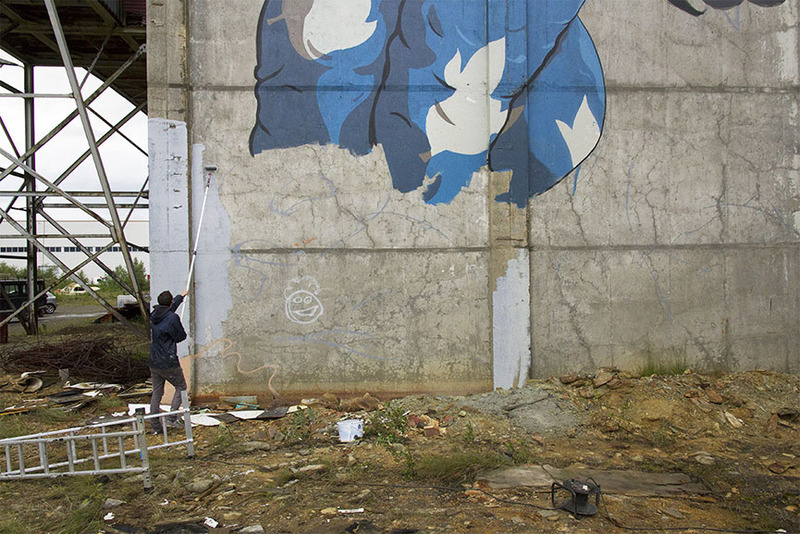 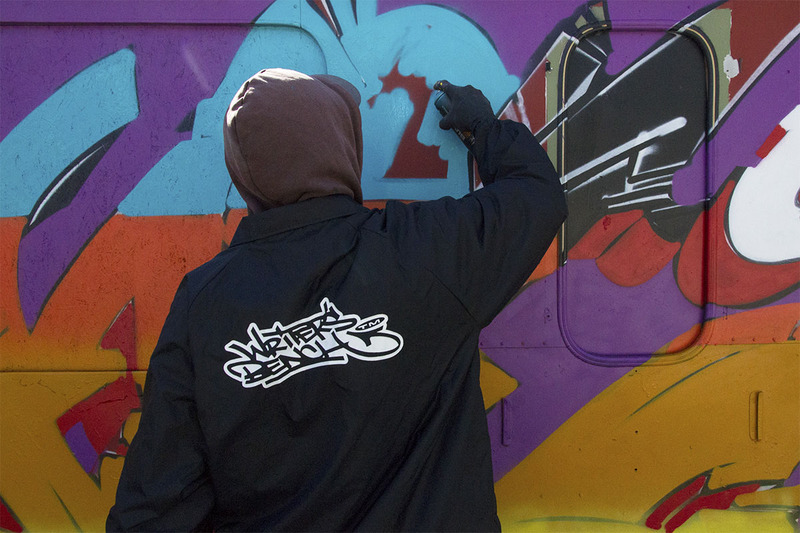 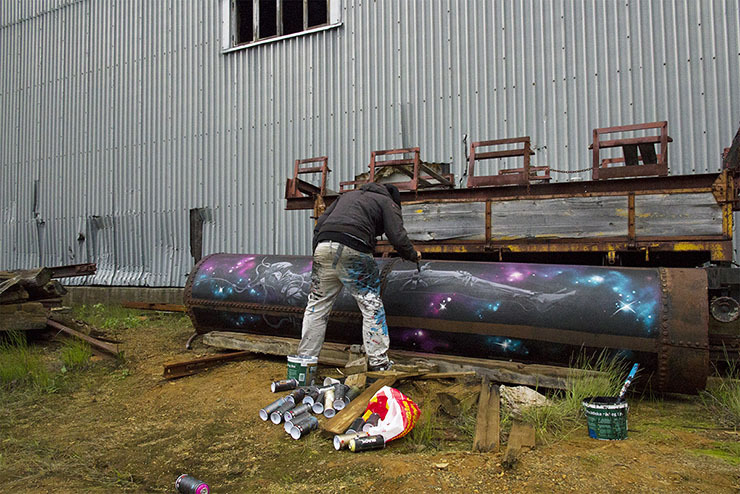 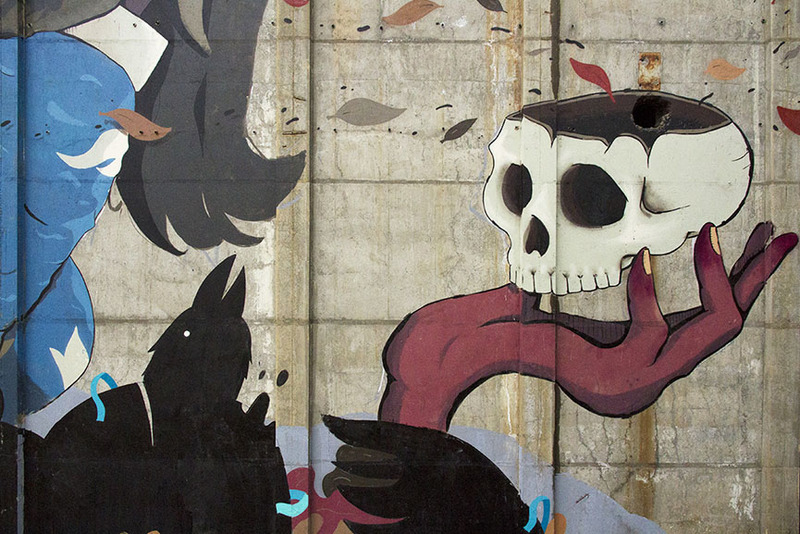 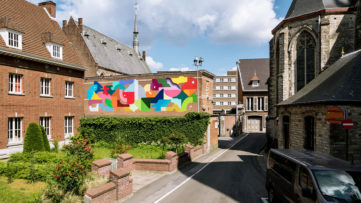 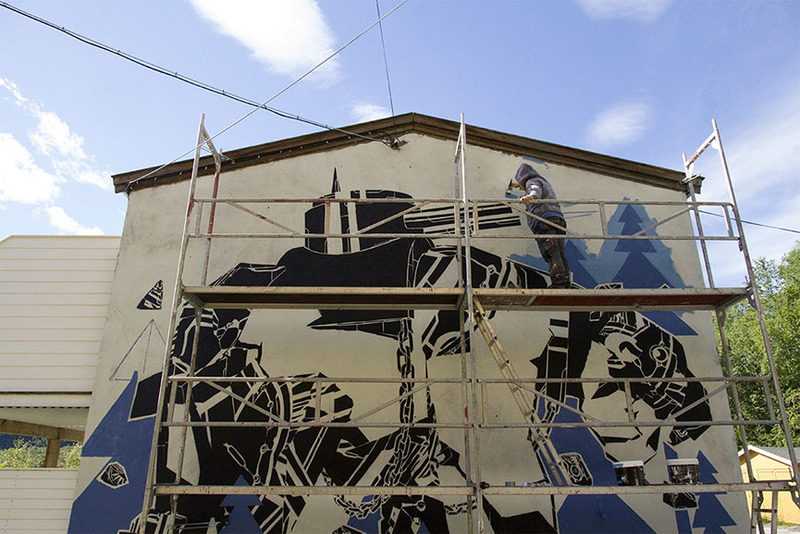 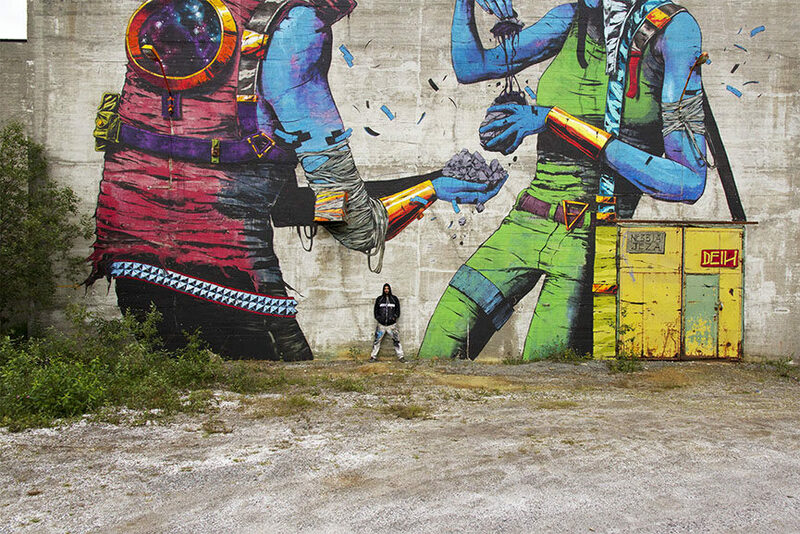 With seven internationally renowned street artists taking part in the 2015 edition, UpNorth Festival aims to bring in a wide spectrum of styles and expressions in years to come as well. 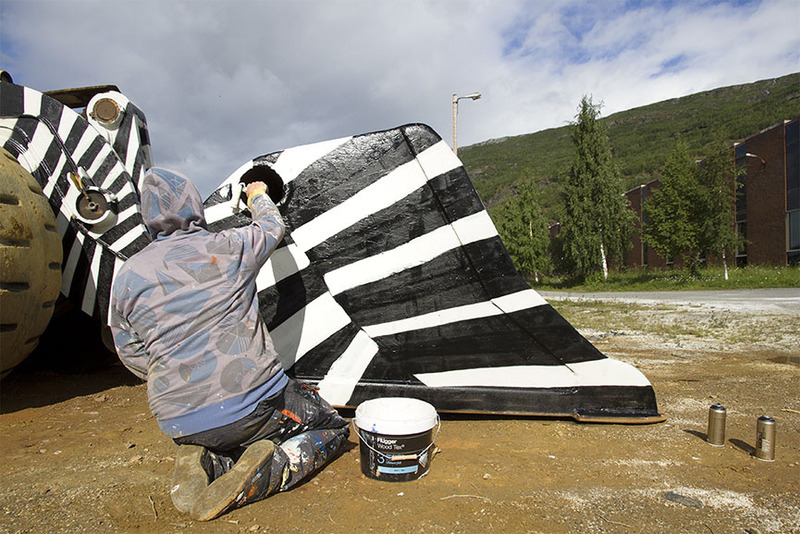 The idea of the festival is to become a traveling one, going around the beautiful Norway and taking place in different location every year. 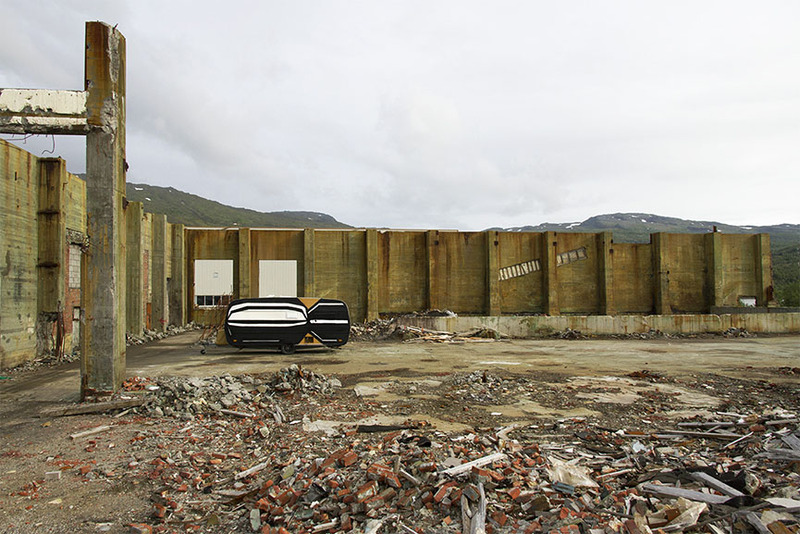 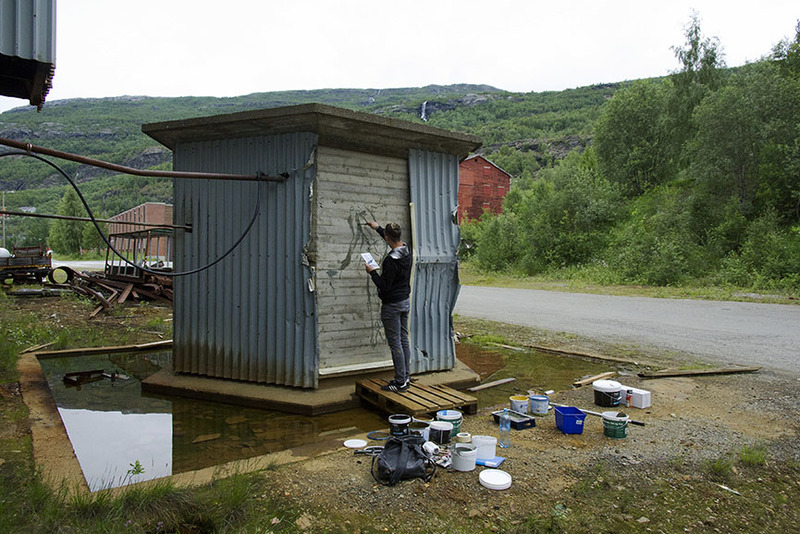 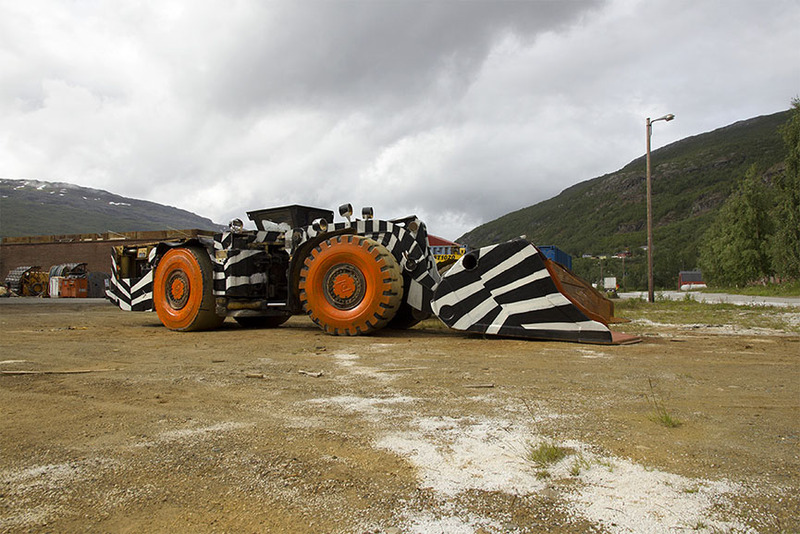 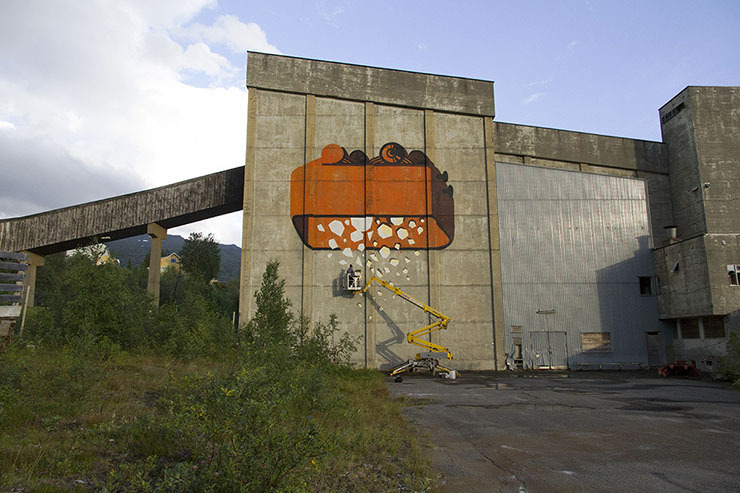 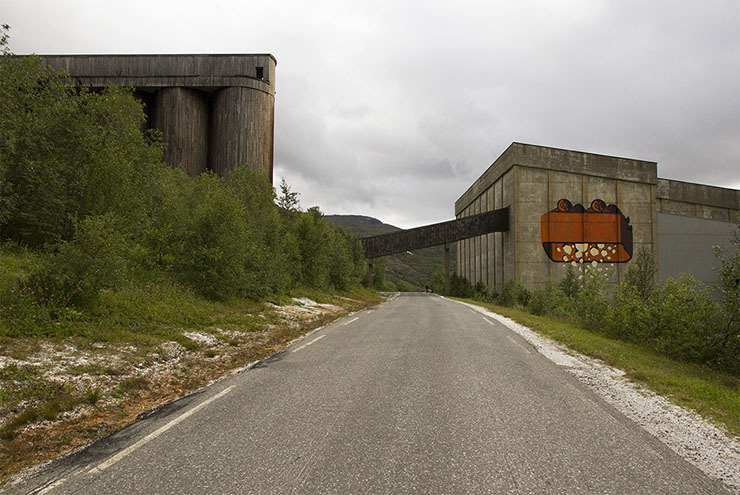 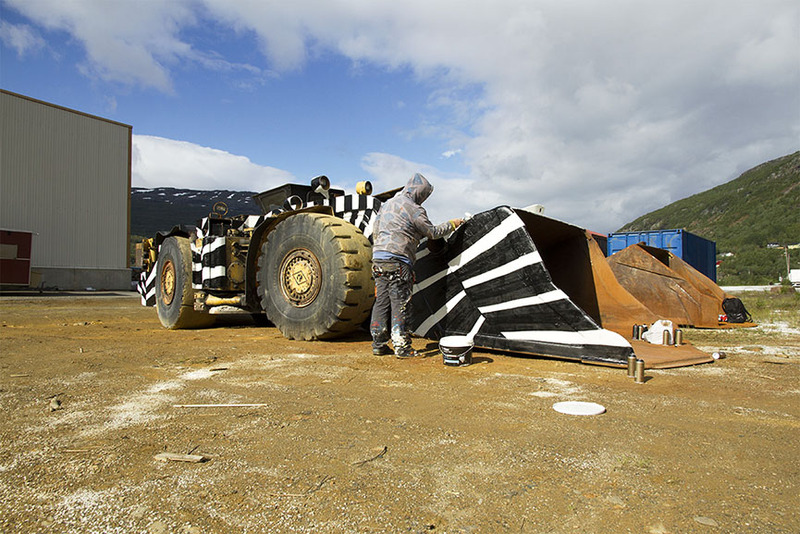 During UpNorth Festival 2015, the participating artists created a number of stunning artworks which are now a part of the amazing North Norwegian landscape. 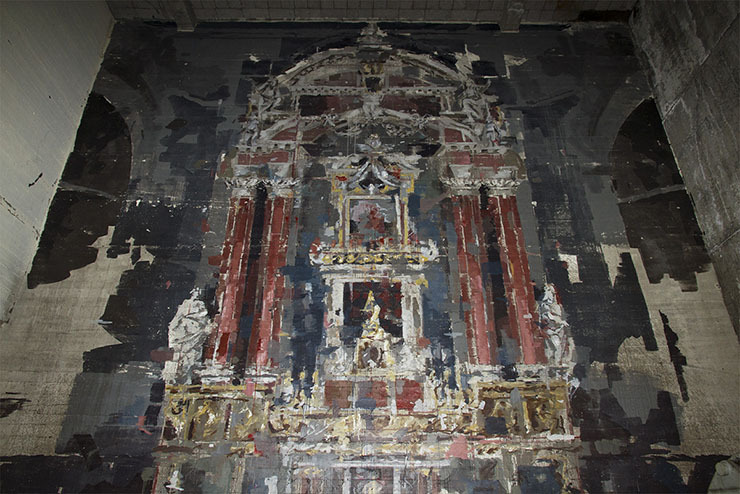 Spanish artist Borondo created 3 murals, Polish artist M-City 3 murals and 3 pieces, another Spaniard Deih 1 mural and 2 pieces, local talent DotDotDot 1 mural and 1 piece, curator Stein 1 mural and 1 piece, Madrid artist Sabek 1 mural and StayOne from Norway around 7 pieces – accounting for a total of about 24 street artworks. 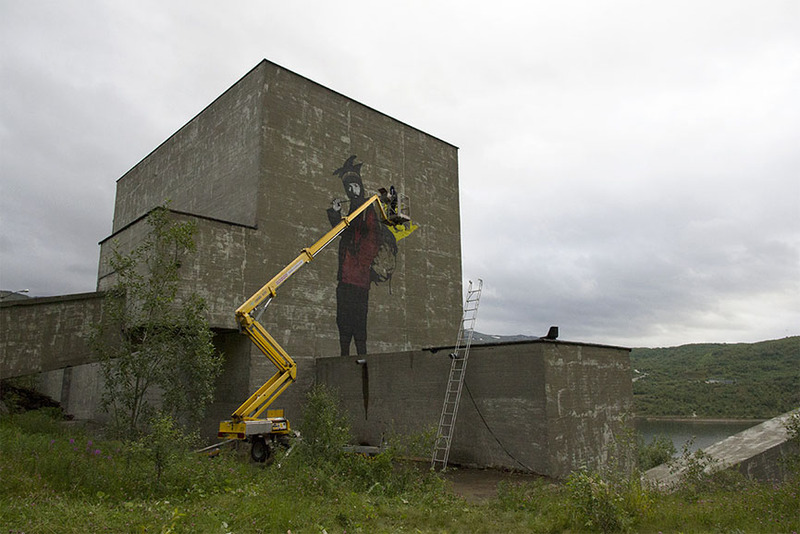 Make sure you scroll down to check out all the UpNorth Festival images, taken by Henrik Haven! 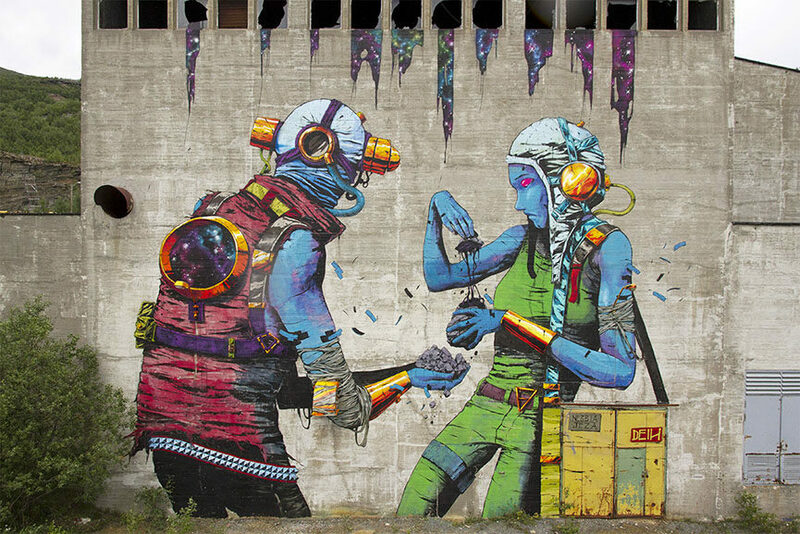 Share our love for street art festivals worldwide, sign up for My Widewalls! 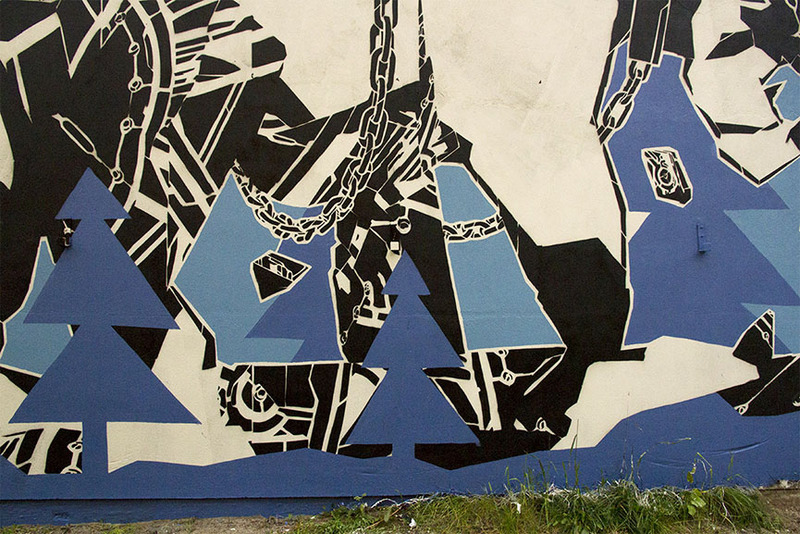 For more information on the festival, visit the official UpNorth Facebook page. 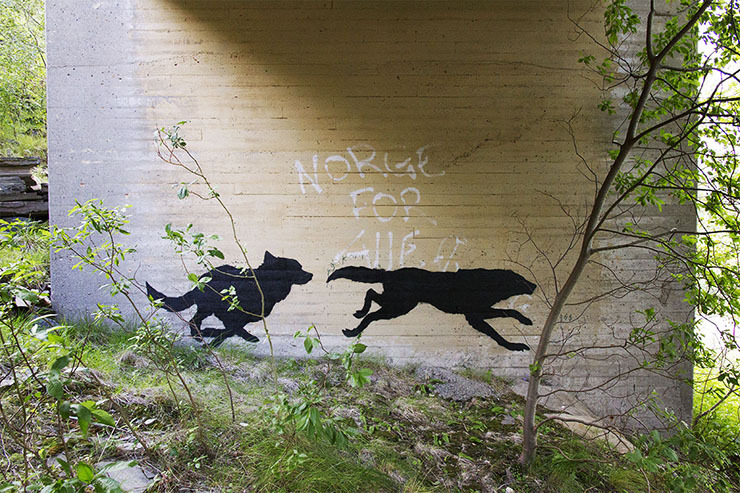 All images courtesy of Henrik Haven.